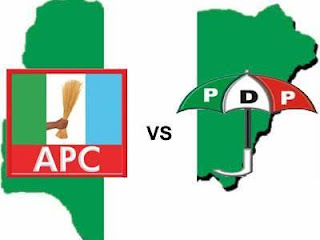 The APC has cautioned “mischievous politicians – especially those in the PDP to stop deceiving Osun workers by spreading the false idea that the primary obligation of government is to pay workers’ salaries. “This idea is not in the interest of government workers themselves, because it is capable of inciting the majority of the people against the workers and creating chaos in the society,” the APC warned. According to the party, "government has enormous responsibilities to the entire population of Osun; and all of these responsibilities are as important as paying salaries to workers. “The difference between a failed and irresponsible government and a successful and responsible one is the ability to manage available or limited resources to satisfy the needs of the greatest possible number of the people from who the government derives its authority and legitimacy to govern”’ the APC argued. The claims above were contained in a statement Kunle Oyatomi, the APC Director of Publicity, Research and Strategy, signed and made available to Amiloaded in Osogbo today. The party stated that, “it has become necessary to put a stop to the ungodly falsehood being circulated by few impressionable people who the PDP has deceived into believing the senseless idea that government exist only to pay workers' salaries. Nothing could be farther from the truth”, the APC said. The APC praised government workers' perseverance and urged them to understand the important position they occupy within the establishment. According to the APC chieftain “civil servants are managers of the permanent infrastructure of government, while politicians are the variable executive and legislative aspects that are continually elected by the masses of the people to represent and protect their interests in government. “Government workers are mostly professionals, trained to keep the engine of government running. And together with the politicians, they are constitutionally responsible for creating, providing and maintaining the economic, social and environmental infrastructure to enable continuous activities of the masses that promote justice, peace and prosperity in society “, the APC said. The APC, however, drew attention of government workers to the fact that Governor Rauf Aregbesola, who some misguided politicians were scandalizing all over the place, actually always praised and acknowledged the workers' importance and valued their contributions to the success of his government. While the party shared the opinion of the governor about workers in the state, it however urged its leadership echelon to restrain the handful of people in its rank and file from their overt partisan activities of turning themselves into megaphones for PDP’s evil propaganda against the governor and the APC government. The party continued that, “No political group or state government in the history of Osun has paid as much money to workers as the Aregbesola-led APC government has done in the last seven years. “The governor and his government therefore deserve to be acknowledged, not scandalized as some negative people are openly doing in public places”, the APC said.